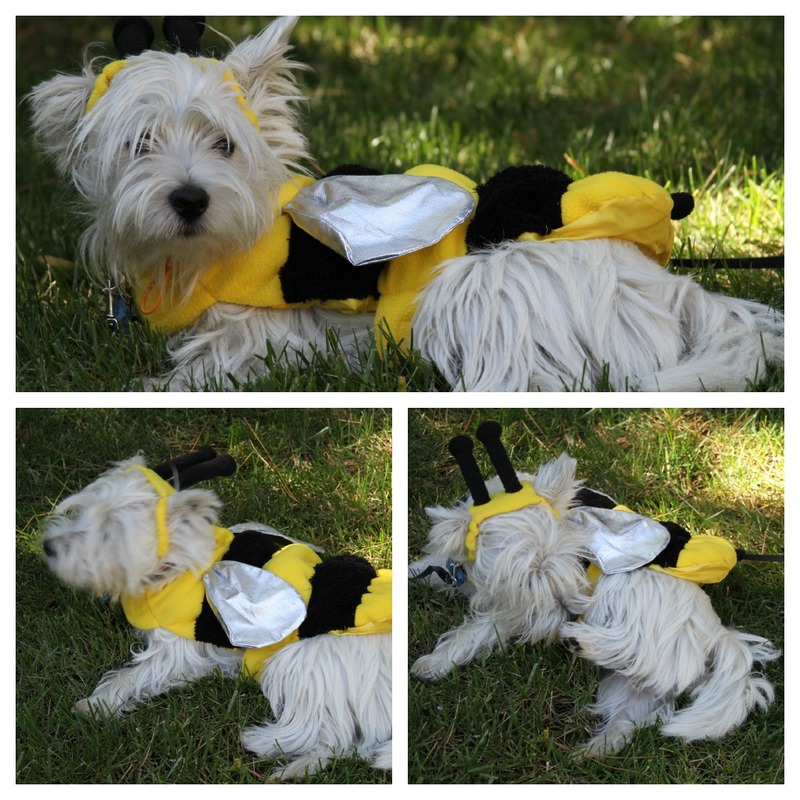 The White Dog Blog: My first Halloween, or surely we can do better! Aww...I understand too but I have found not to fight it. Wear it and let them get their pics and it will all be overwith, easy as that!! You do look mighty cute. Ma knows betters than to try and puts stuffs on me...I buck and brawl, and wells, it's not a pretty sight. I thinks you should be a biker pup! Masculine and tough! We feel your pain. We can't even MOVE if we have clothes on. Bandanas are our limit! And a bee.....oh well, it could have been a CAT! We have a human cousin who lives in Irvine CA...small world. He does some of the ads on tv for Taco Bell and Kibble n bits. We are with you on this. Wearing ANYTHING turns me into a statue and now mom has decided we need winter coats. Not sure how that is going to work out so you might have to share some of your clothes shedding tricks! Duncan - totally logical reaction there.